Mathew Downs and Sally Fitzgerald have been appointed Judges of the High Court, attorney-general Christopher Finlayson said in a statement. The judges, who will both sit in Auckland, have over two decades’ experience as lawyers with Downs specialising in criminal law and Fitzgerald in complex commercial dispute resolution. Justice Downs – who graduated with an LLB (Hons) from Otago University in 1193, an LLM (Hons) from Cambridge University in 2001 and a Doctorate in Law from Otago University in 2011 – started his law career at Crown Law in 1994. In 1996, he became a Palmerston North Crown Solicitor’s office prosecutor until he joined the law firm Meredith Connell in 2003 in Auckland. Downs then returned to Crown Law in early 2005 as a Crown Counsel in the Criminal Law Team and was promoted to the position of Senior Crown Counsel in 2013. He specialises in criminal law, with extensive appearances in the High Court, Court of Appeal and Supreme Court. He has also been a guest lecturer at the universities of Auckland and Otago. 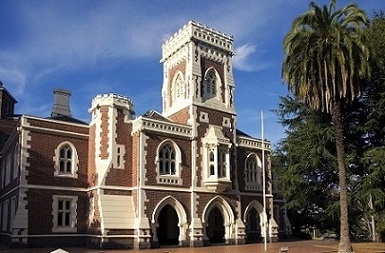 Justice Fitzgerald, who graduated with an LLB (Senior Scholar) from Victoria University of Wellington in 1992, began her career as a solicitor at the Wellington office of top firm Russell McVeagh. She moved to the London office of the firm Clifford Chance in 1994 where she handled international dispute resolution. She then became a senior solicitor at Debevoise and Plimpton, London in 1998 before returning to Russell McVeagh in 2001. In 2003, she joined the Australian law firm Mallesons Stephen Jaques before returning to New Zealand at the end of 2006 as a partner at Russell McVeagh, where she is currently a member of the Board of Management. She specialises in complex commercial dispute resolution, including regulatory investigations and proceedings, tax litigation, and arbitration law and practice. She has appeared in the High Court, Court of Appeal and Supreme Court.